One of the most attractive do-it-yourself wedding invitation options, digital templates that your print/produce yourself, at home (or at work!) seems to best combine cost-savings with personalization. Today we 're featuring one of the most creative and dymanic companies in this space - in Canada. PrintVites was created for those DIY couples who want a fun, creative and inexpensive way to announce their wedding day as well as those that may want to take a more hands-on approach in a fun and simple way. Bright, colourful lettering is combined with interesting fonts and text positioning; colours can be connected to one element of your wedding theme, or a specific print that can be carried through your wedding day. 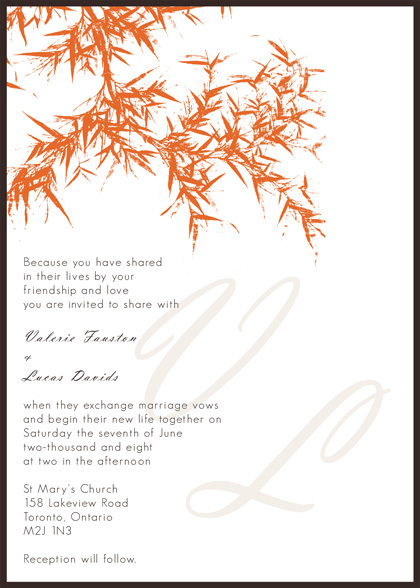 At PrintVites, you will find a collection of unique DIY (do-it-yourself) wedding invitation templates for the modern couple. The templates are designed in a manner to make the necessary steps as easy and fun as possible from the point of purchase to printing. 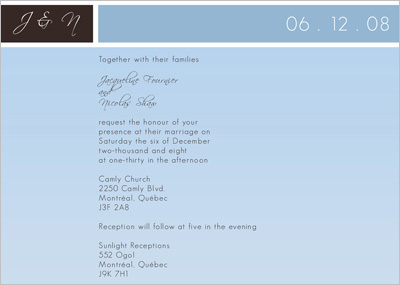 Simply select and purchase an invitation template from our collection, edit the text, print, cut, and then mail. It's as simple as that!